A variety of Multi-Meters, both analogue & digital, are probably the most essential items of your test equipment. For me they are certainly the most used of all my test equipment. DC/AC Volts, DC/AC Amps & Ohms are the standard units of measurement, although Farads, Henrys, dBs, °C, hfe and MHz also feature. This is a mains powered HP 3478A Multi-Meter. This can measure dc & ac voltage & current, plus resistance. The reading can be displayed as 5½, 4½, or 3½ digits with autozero. An excellent feature is 'electronic calibration' so no mechanical adjustments are necessary to calibrate the Multimeter. I use this as my 'reference' DMM. Unfortunately it has a LCD display, I prefer LED displays as they can be more easily read in low light levels. 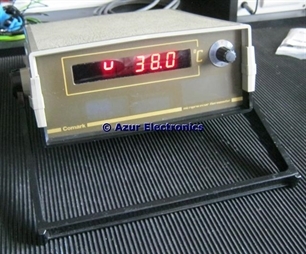 The ubiquitous AVO Meter was the "standard" bench multi-meter when I first started in electronics. This is a battery powered Avo 8 Mk6. This can measure dc & ac voltage & current, plus resistance. 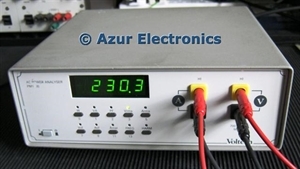 I use this on my bench for monitoring ac supply current to the DUT (Device Under Test). This is the digital version of the Avo and is a battery powered Avometer 2001. This can measure dc & ac voltage & current, plus resistance & continuity. 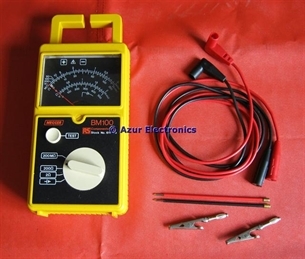 I use this as a general purpose DMM with my portable electrical test kit. 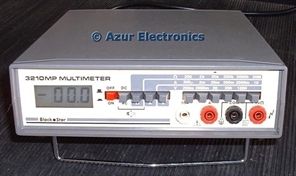 This is a mains powered Keithley 179 True RMS Digital Multimeter. This can measure dc & ac voltage & current, plus resistance. I use this as my main bench DMM. 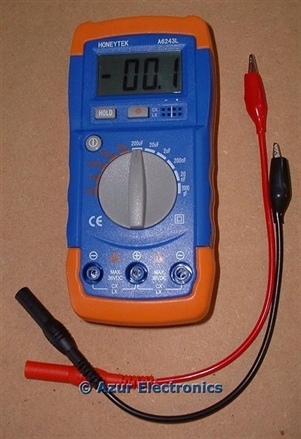 This is a mains powered GW GDH-8035G Digital Multimeter. This can measure dc & ac voltage & current, plus resistance. I use this as my second bench DMM. This is a mains powered Black Star 3210MP Multimeter. 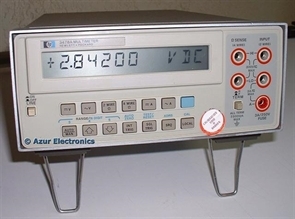 This can measure dc & ac voltage & current, plus resistance. See also Black Star "Stack". It also has an audible tone on the lowest resistance range which is useful for 'buzzing-out' circuits. LCD display. Now SOLD. This is a battery powered (but converted to mains powered) Thandar TM355 Digital Multimeter. This can measure dc & ac voltage & current, plus resistance. See also Thandar "Stack". I use this as my third bench DMM. This is a fairly versatile battery powered SkyTronic 600.219 DMM. This can measure dc & ac voltage & current, plus: resistance & continuity; temperature in °C; frequency up to 20kHz; capacitance up to 20µF;diode continuity; and pnp/npn transistor hfe parameters. It also has an audible tone on the lowest resistance range which is useful for 'buzzing-out' circuits. I use this as a general purpose portable DMM. This is a battery powered Honeytek A6243L Inductance and Capacitance Meter. It can measure inductance up to 20H and capacitance up to 200µF. I use this for testing components and fault finding. This is a battery powered Megger BM101 and measures resistance and insulation. 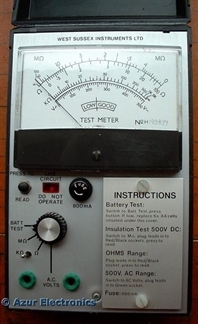 A vital piece of safety test equipment for measuring the input resistance (live to neutral) and insulation (live to earth) and safety earth (mains earth to frame/chassis earth) of a DUT (Device Under Test). I use this as my bench Megger. This is a battery powered DBU30 Sound Level Meter. This can measure sound levels from 50dBA to 126dBA with A or C weighting. Not used very often but has been useful from time to time. 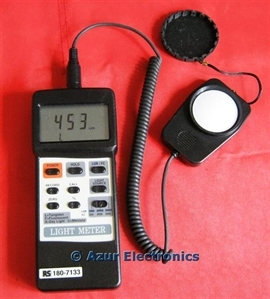 This is a battery powered RS V10860 Digital Light Meter. It can measure 0 to 50,000 lux or 0 to 5,000 foot-candles in 3 ranges. 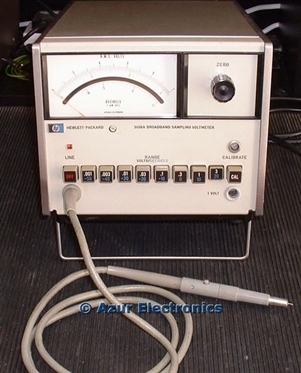 This is a HP 3406A Broadband Sampling Voltmeter. It is particularly useful as it can measure signals up to 2GHz in both high impedance and 50Ω circuits. It can measure 1mV to 3V in 8 ranges and -62dBm to +23dBm. I keep this on my rack for occasional use. This is a Voltech PM1000 AC Power Analyser. 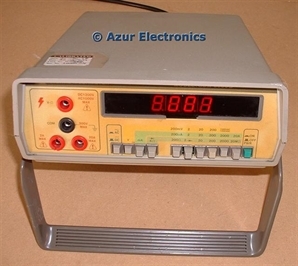 It provides various power, voltage, current, frequency, etc measurements. I use this on my bench for monitoring ac supply conditions to the DUT (Device Under Test). Very useful bit of kit. This is a battery powered Megger BM100 and measures ac voltage, resistance and insulation. 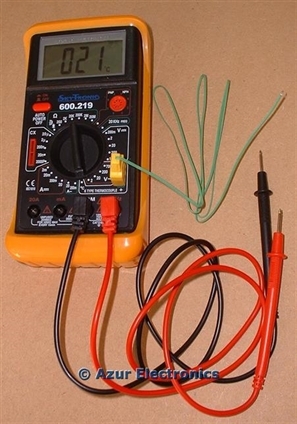 I use this as a general purpose resistance and insulation tester with my portable electrical test kit. This is an unusual version of a Megger. 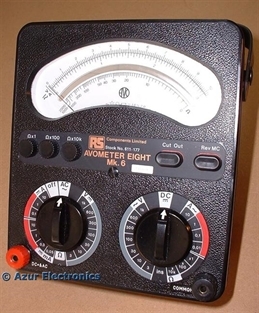 It is a battery powered WSI (West Sussex Instruments Ltd) Megohmmeter. It can measure up to 500Vac, insulation test at 500Vdc, resistance from 0Ω to 100Ω and from 0kΩ to 5kΩ. Now sold. This is a Comark 6130 Microprocessor Thermometer. Used with type T thermocouples, this can measure a temperature range of -200° to +400°. 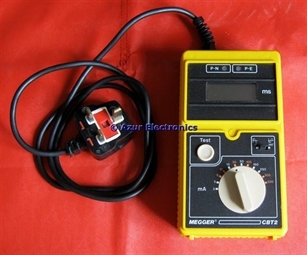 This a Megger CBT2 RCD Tester. It tests RCDs, RCBOs, RCCBs at various test currents. 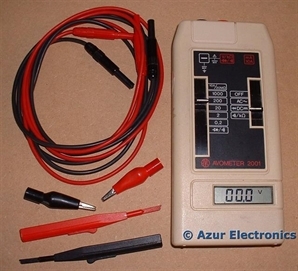 I use this as a RCD tester with my portable electrical test kit. 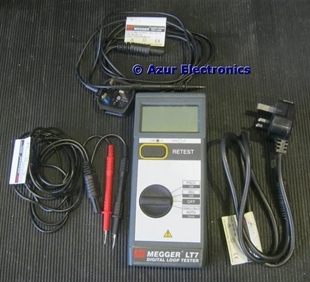 This a Megger LT5 Digital Loop Tester. It tests the Line to Earth Impedance. 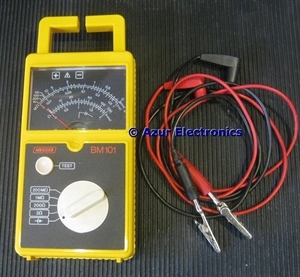 I use this as a Loop Impedance tester with my portable electrical test kit. 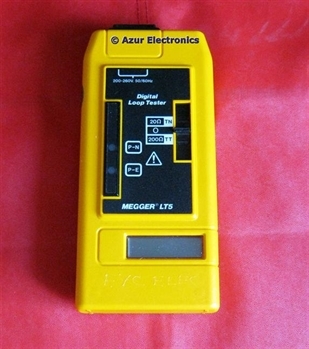 This a Megger LT7 Digital Loop Tester. It tests the Line to Earth Impedance with a lower current setting than the LT5 to avoid tripping RCDs. 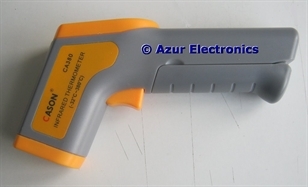 This is a Cason CA380 Infra-Red Thermometer. It has a target laser pointer and can measure a temperature range of -32°C to +380°C.